Virginia Christian, the first and only female juvenile to be executed by the state of Virginia. Ross Howell Jr.'s new historical fiction book 'Forsaken' examines Christian's arrest, trial and execution through the lens of Charles Mears, a Hampton reporter who covered the story. 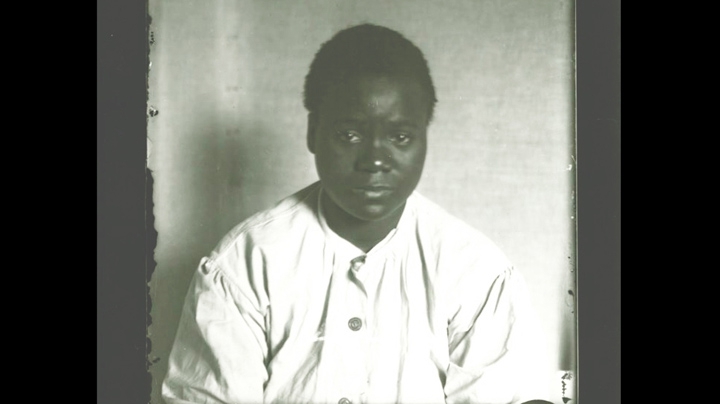 A new book examines the early 20th Century execution of Virginia Christian, a black teen in Hampton Roads who killed her employer. Forsaken is a work of historical fiction and looks at this period of Virginia's past through the lens of a young reporter. Catherine Komp has more for Virginia Currents. Learn More: Find out about Ross Howell Jr.’s book. The Library of Virginia has created Forsaken: the Digital Bibliography that, chapter by chapter, provides archival documents and detailed information about real life Virginians featuerd in the book. Howell speaks about Forsaken at the Library of Virginia March 9th at Noon. Virginia Christian had just turned 17 when she was executed by the state of Virginia for the murder of her employer, Ida Belote. Ross Howell: Her cell in the penitentiary was in view of the death cell and the electric chair, where when she was sitting in her cell on her birthday, she was looking into another room where she knew she would die the next morning. Ross Howell Jr. was planning to write about the 1912 shootout at the Carroll County Courthouse. While doing research, he discovered Virginia Christian’s story was unfolding at the same time, 300 miles east in Hampton. Howell: What’s easy to forget about this story is that you're talking about a child and she is a unique child in that she is the only female juvenile ever executed in the history of Virginia including colonial days. She was uneducated, had little means to protect herself at all. Jim Crow society was certainly against her in every way and she seemed so helpless and alone and I just found that I couldn't turn away from the story. Howell’s new historical fiction book Forsaken portrays Virginia Christian’s arrest, trial and execution through the eyes of Charles Mears. He worked for the Hampton Times-Herald and was one of two reporters who recorded her confession. Howell: She asked for newspaper men to be brought to her cell because she was so upset that she had not been allowed in the court to testify and tell her side of the story. Howell also discovered a deeper connection between Charles Mears and Virginia Christian. Mears wrote the Governor twice asking for her execution to be commuted. Charles Mears Letter: July 11th, 1912 Honorable William Hodges Mann, Governor, Richmond Virginia. My Dear Governor, in my capacity as a reporter I had intimate knowledge of the Virginian Christian case but that the one on the court and matters relating to the case they have not been put into the record I also know what the prevailing public sentiment is in the community relative to this case I therefore say to you frankly that while I am not a lawyer still unsatisfied the killing of miss out of below was not a premeditated that and I verily believe that every end of justice will be mad at this woman is giving life in prison I'm interested in matters solely from humanitarian point of view and write to you because it this time and in this case you holding your hands the power of life and death with best regards and yours truly Charles G. Mears. Howell didn’t dig up much else about the real Charles Mears, but he turned his character into a person of faith who spoke out against injustice. Howell: What I liked about this narrator is here is a person who is actually trying to live what he believes and it gets him in a lot of trouble. But there is something very noble about that, you know to try to not just talk about with you believe, not just recite the lessons of Christ, but to try to live the lessons of Christ. Dozens of people wrote letters to Governor Mann to try to stop the execution. Many of these letters have been digitized by the Library of Virginia, where Howell conducted research. One came from E. Val Putnam, editor of the Chicago Daily World. E. Val Putnam Telegram: We believe that civilization has carried us beyond the point where it is necessary to strap this 17 year old child, who never had the advantage of education of restraint, of higher training, in a chair and take away her life. We do not believe that the execution of this child will lessen the number of crimes of murder in your state or that the commutation of her sentence to life imprisonment will increase them. We do believe the great trinity of justice, humanity and civilization waits in asking you to stay the hand of the executioner…. Howell: From women’s groups, from business men, very powerful letters. There are there so many of them, you could almost assemble a book just on that. People with very strong feelings about, not only Jim Crow but the right for women to vote and how this was tied into how this female was being objectified in her society. E. Val Putnam Telegram: Recognizing the heinousness of this offense committed by this mad young woman, we must ask you, is not the state of Virginia herself in part responsible? This child was left without training or education. The picture of her sitting alone in her cell, unable to while away her last hours even by reading, is an indictment against society for her condition that must reflect on all of us who have been given to see the light as she never dreamed of seeing it. The picture of that black child, alone, helpless and friendless in her cell is one that comes home to all of us. In the name of humanity, in the name of civilization, in the name of 2 1/2 million citizens of Chicago, the world asks you to commute the sentence to life imprisonment. Very truly yours, the Chicago World, E. Val Putnam, Editor. Christian’s trial lasted two days; the jury of twelve white men deliberated for less than an hour before finding her guilty of first degree murder. In the confession she gave to reporter Charles Mears after her sentencing, she said Ida Belote started a physical altercation and she never intended to kill her. Virginia’s constitution prohibited the execution of juveniles, but the state insisted she was an adult despite evidence and testimony about her age. Howell: And they did fairly effectively demonstrate that she was a juvenile because that was her one hope. Because under the Constitution of 1902, a juvenile was not not even supposed to be incarcerated, let alone executed and the prosecutors found around that. The governor actually had another confederate veteran, Colonel JB Wood, who was the superintendent of the penitentiary, had a physician go in to confirm that the girl was of adult age. I mean, it was difficult, it was just a difficult situation. There is only one known photo of Christian, taken while in custody. Wearing a loose, white frock, she stares directly into the camera lens. There’s a heaviness to her expression. She looks scared, sad and alone. At some point in our lives, says Howell, we all are forsaken. Howell: There comes a moment, sometimes more than one, where we feel alone and helpless and sometimes society can push people in that direction. But I feel like if we are aware of those feelings in ourselves that we can learn to recognize them better in others and try to share those feelings with others, rather than treat them as others. Howell: It seems like readers like him, I know I like you and so I started doing research. Charlie would have been the right age to be drafted into service in World War I, so you can guess where I'm going. I'm actually wants to take him from in his life from 1917 to 1935. it's kind of like this story, there are some big historical things that happen in American society that for some reason or another they kind of been just pushed aside, we haven't really looked at them and so like this book I'll be looking at people who are kind of on the edges of society again just trying to show some of the things that they had to endure and yet were able to prevail. All archival images courtesy of the Library of Virginia. Thanks to voice over talent Thomas Jeremiah and John Porter who read the letters from Charles Mears and E. Val Putnam in this story. Music used in this story produced by Kosta T and available at freemusicarchive.org.